Child Care Aware® is offering out-of-home facility and child care center directors and staff like you, the opportunity to advance your skills and prepare your program for the next step of Bright & Early ND. During this 9-month Winning Ways program, you and your staff will learn fascinating facts about working with infants, toddler and twos, plus be reminded of how important your job as an early childhood professional really is. Eligibility: Applicants must currently be a Bright & Early Step 1 Quality Rated Program. Applications for this opportunity with be available from July 1 - August 10, 2018. Check out Child Care Aware of ND’s Helpful Resources for a step-by-step tutorial on 'How to Apply for a Quality Initiative’. - A 3-hour face-to-face orientation that will be scheduled within the first 3 weeks after acceptance. 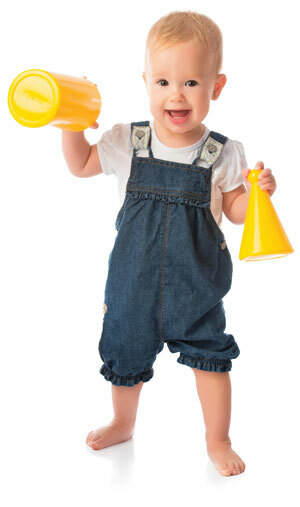 - Monthly one-on-one training by a Child Care Aware® coach over the course of the 9-month Winning Ways program. Directors will have a personal coach to help them build their leadership skills and staff will have a personal coach to help them grow their skills. *Credit hours will be awarded after completion of the full training. No partial credit will be awarded. Grant dollars will be available to help you purchase materials, resources, and furnishings for your infant/toddler classrooms.